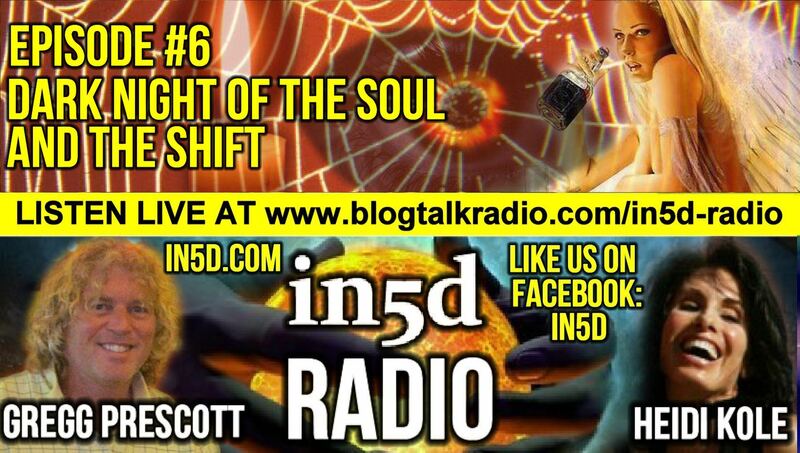 On Monday, April 29th, 2013, In5D Radio’s special guests were our callers as we talked about the ‘Dark Night of the Soul’. We had a full night of callers who were either going through the ‘Dark Night of the Soul’ or have been there and shared their experiences and advice with our listeners. The ‘Dark Night of the Soul’ usually comes when it feels like everything that can go wrong, will go wrong. Eventually, it culminates into the loss of ego and you realize that all of these perceived bad events were actually blessings. Next week, May 6th, 2013, our special guest will once again be YOU as we will have open lines and will be talking about “Introverts and Extroverts”. If you’re not sure whether you’re an introvert or an extrovert, you can click the link below and take the Briggs Myers test, which is approximately 70 questions. At the end of the questionnaire, you will be issued 4 letters, which tell you your personality type. The first letter will be either an I (Introvert) or an E (Extrovert). Call in and tell us your personality test results and how that has affected you in your awakening!